By Matt Reimann. Jun 24, 2017. 9:00 AM. Crime writers have the strangest muses. For best-selling author Lawrence Block, it’s 1970s New York, with all of its grime, noise—and yes—crime. Today, Block still lives in the West Village, now replete with upscale shops and multimillion-dollar townhouses, but the gritty city of yesteryear is still sharp in his spirit, having already provided a compelling backdrop for many of his 150 mystery novels. 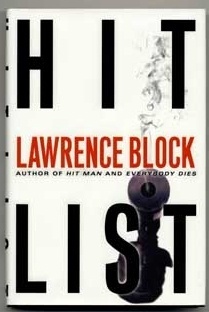 Lawrence Block began writing books in the early '60s, but it took a few years before he put his real name on them. He wrote reams of pulp paperbacks, frequently in the lesbian erotica genre, using pseudonyms like Jill Emerson. He was paid around $1,000–$1,200 per book. His deadlines were demanding, and his next project would loom so close that Block got used to having little time to edit the first draft. There was no time for Flaubertian fastidiousness. It was simply on to the next one. 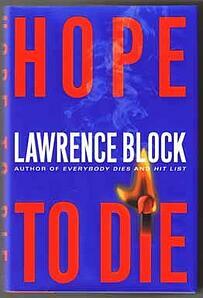 This work ethic has made Lawrence Block not only a skilled mystery writer, but an adroit author of writing guides. Few people are as qualified to talk about writing as a craft, as a vocation you must do; the novel as a thing that must move and work. He knows what it’s like to step on the literary treadmill, under pressure to finish books on time to get the rent and utilities paid. He’s also very generous, and this comes across in the books he's published for writers like Spider, Spin Me a Web, as well as a Writer’s Digest column he kept for 14 years. But Block’s success comes from his talent as a crime and mystery writer. His most famous creation is private investigator Matthew Scudder, an alcoholic ex-NYPD cop whose life is plagued by the guilt of having killed a young girl in the crossfire of a shootout after a night of drinking. Having left his family, he rents a small apartment in Hell’s Kitchen and lights candles for the dead he’s left behind or whose case he is investigating. More of Block’s famous protagonists tend to be outsiders as well, though they find themselves on the opposite side of the law. Bernie Rhodenbarr is outwardly an upright, intelligent gentleman, but lives a life as a burglar who, in each book, by some unlikely means, ends up looking like a suspect for a murder he did not commit. These books tend to be lighter in tone than other Block books, and are filled with witty dialogue. Another stirring creation is John Paul Keller, a smart, ruminating hitman who dedicates much of his profits from his killings to support his beloved hobby: stamp collecting. In an interview in 2013 with the New York Daily News, Block suggested that the release he was promoting, Hit Me, might be his last. 2016, which saw the release of a new Keller novella, as well as a few more short stories, proved him wrong. A life of writing, like crime, can be hard to quit.